HRANA: Zahra Mansouri, an epileptic prisoner, has been denied access to her medication in prison. Zahra Mansouri, 60, began serving her two-year prison sentence on October 27. Zahra Mansouri's physician has warned against conditions that would bring on epileptic seizures for Mansouri, but prison authorities refuse to allow her access to medication provided by her family. Mansouri suffers from serious health problems caused by a recent intestinal operation. Security forces first arrested Zahra Mansouri on June 1, 2011. She spent 90 days in solitary cells inside the Intelligence Ministry's Ward 209 at Evin Prison. During her detention, she underwent surgery due to breast cancer, and immediately after her operation, authorities transferred her back to her solitary cell. She was released on bail on August 19, 2011. 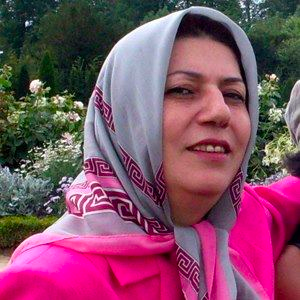 Branch 26 of Tehran Revolutionary Court under Judge Pirabbasi initially sentenced Zahra Mansouri to five years in prison on charges of "acting against national security." Due to Mansouri's ill health, her sentence was reduced to two years in prison and an additional five years' suspended imprisonment. Zahra Mansouri's brother, Mohammad Ali Mansouri, is a political prison who has been serving a 17-year prison sentence in exile in Rajai Shahr Prison on charges of "relations with groups hostile to the regime". Zahra Mansouri has been exposed to a lot of pressure due to her familial ties. with full knowledge and total impunity despite masses of physical evidence, now we have a 60 year old cancer patient who is suffering from epilepsy put in solitary confinement (which is recognized by some as a form of torture due to the psycological effects which stay with the victim long after the crime happens to them). Do these islamo fascists have any Shame? How could anyone with a shred of human decency put this ill 60 year old lady behind bars for no other reason than her brother being a political prisoners? Messianic Islamist Rapists, “reformers” and all are predicators; their 34 year record of gross violation of human rights makes this fact beyond a shadow of a doubt. Regime change is the only way to end this nightmare. Hey Islamist Rapists, Stop withholding medicine and sanctioning iranian people!